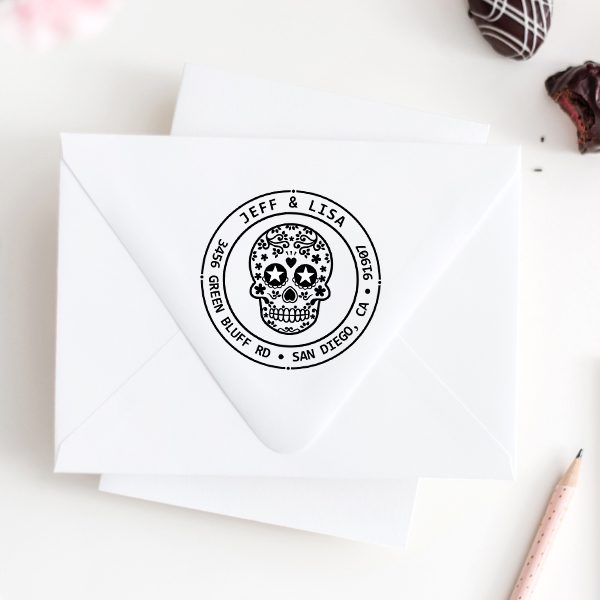 Great for any home this great 1.625" Sugar Skull Two Round Address Stamp will help you dispatch all of your mail in a snap and leave all of your recipients with a perfectly stamped return address every single time. 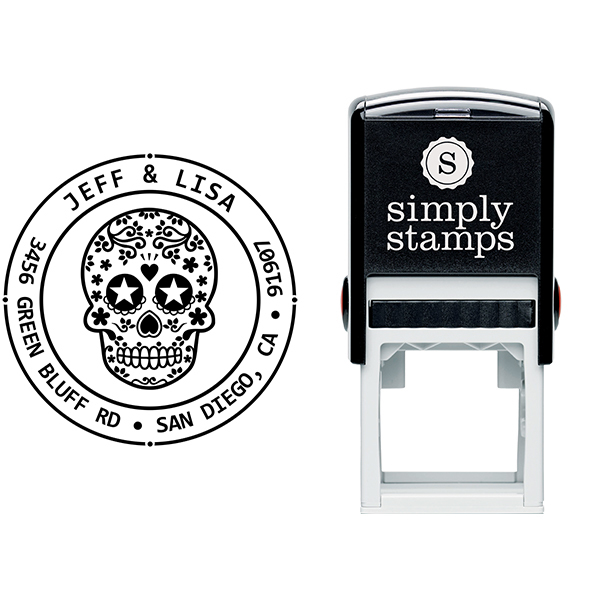 Show your own separate style with one of our awesome new stamp designs and buy yours today! Standard size is 1.625" but larger sizes are now available! 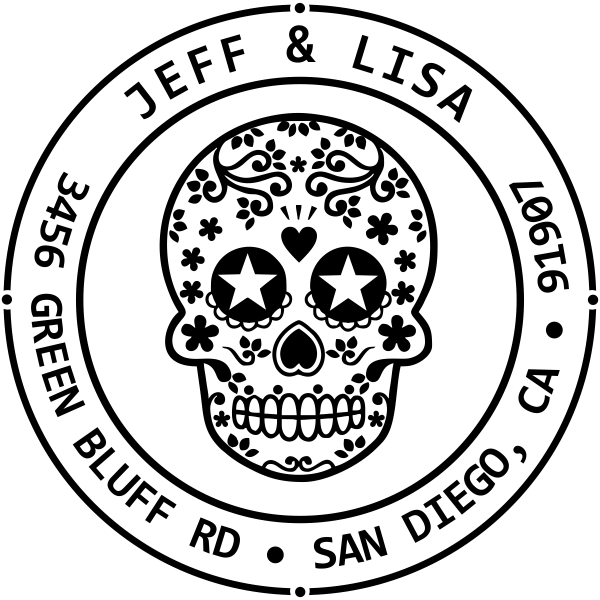 Sugar Skull Two Round Address Stamp Details Forget those unattractive address labels of old! 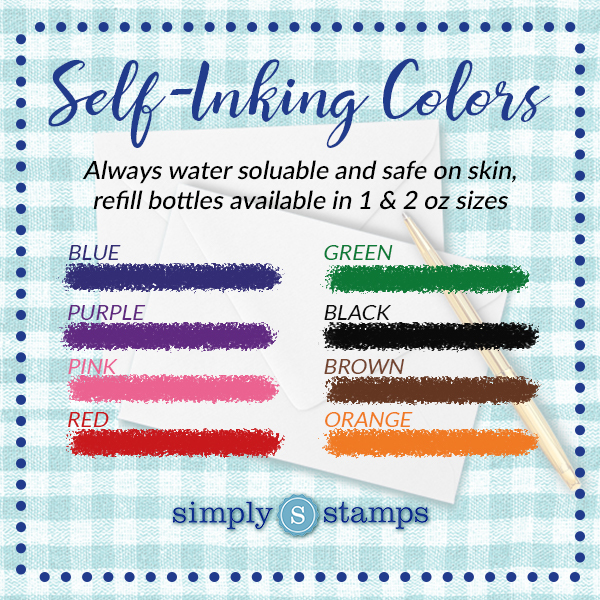 Choose a easier way to sending out all those letters all through the year with one of our custom self inking address stamps! Address labels can be gooey and tear easily, making their usefulness more of a burden than anything. 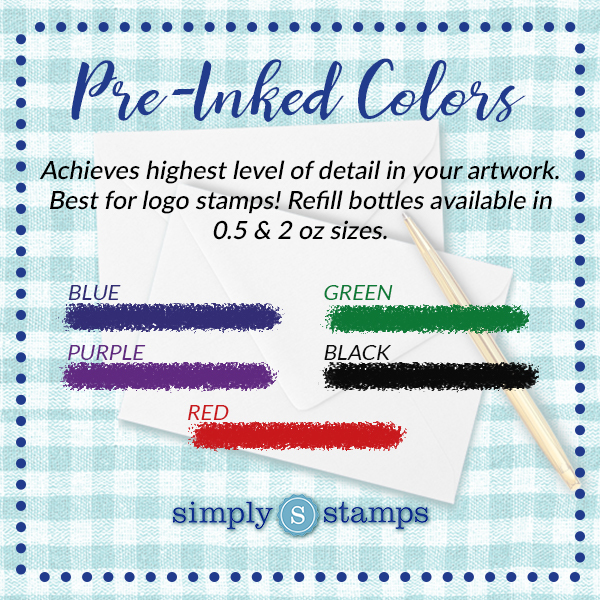 Express it with stamps instead, and get through your daily routine chore list in a small percentage of the time. Not surprisingly, this Sugar Skull Two Round Address Stamp will assist you throughout the holidays! Made with only top quality products, this useful self inking stamp will survive for many years to come! Get yours now!